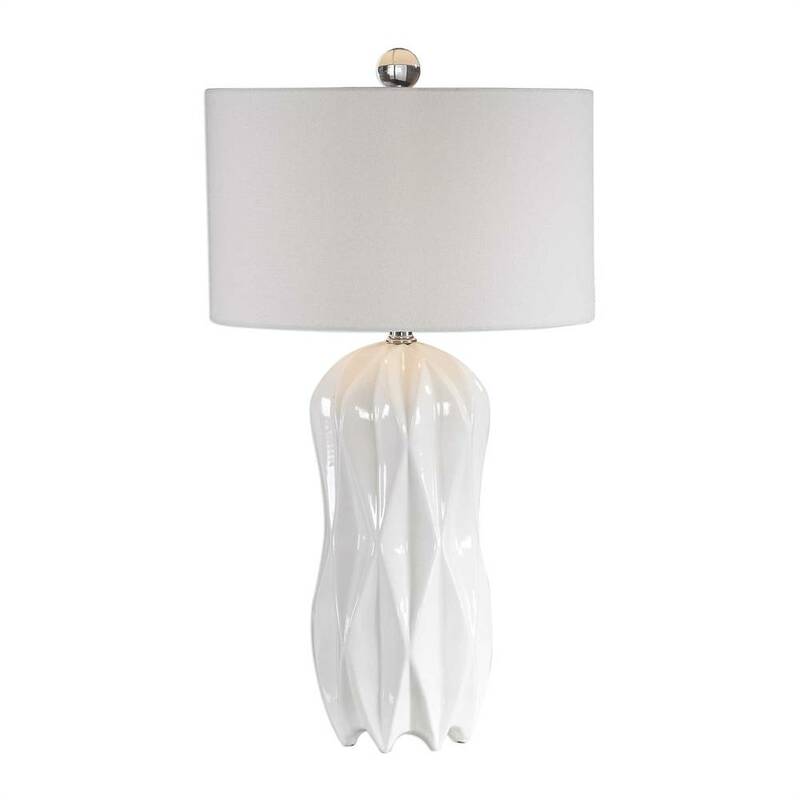 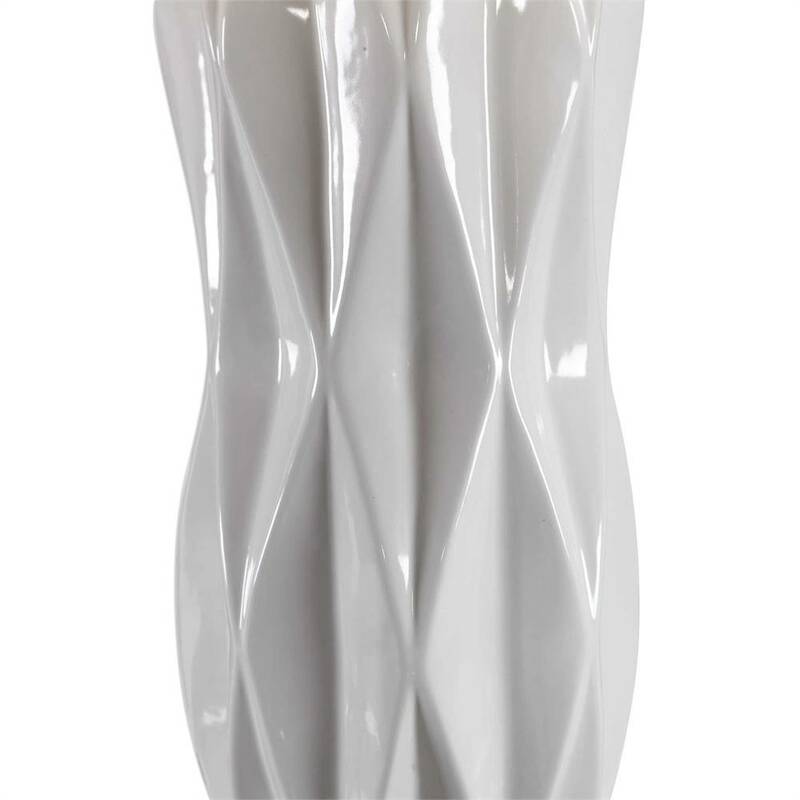 The Malena by Uttermost features wondrous ridges that bring texture and interest to a column of glossy, white ceramic in this modern, elegant table lamp. 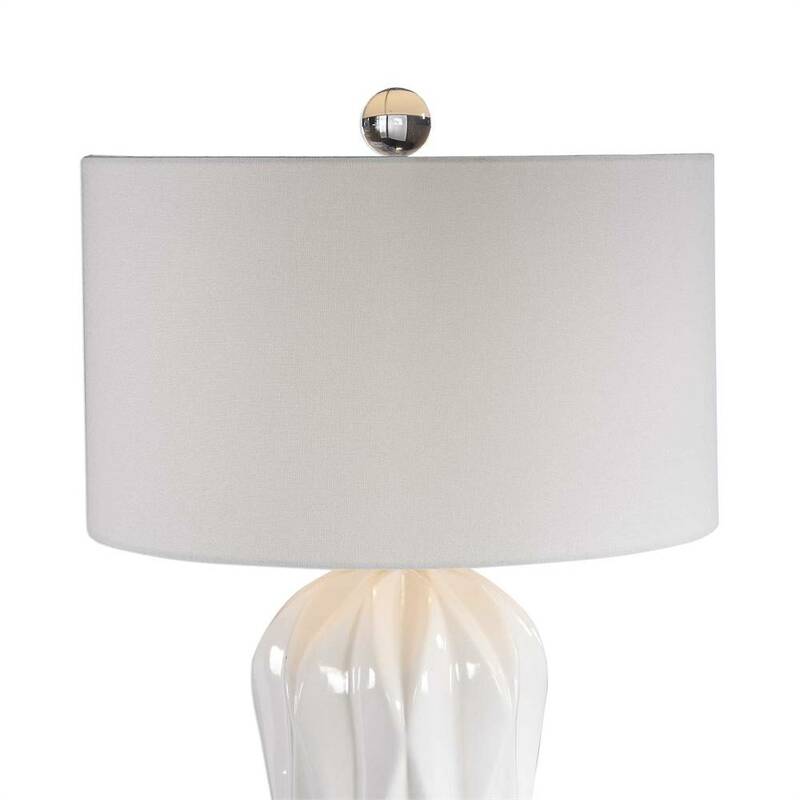 Paired with a round, hardback white linen shade, polished nickel details and a crystal finial this luxurious lamp suits any space from living room to bedroom. 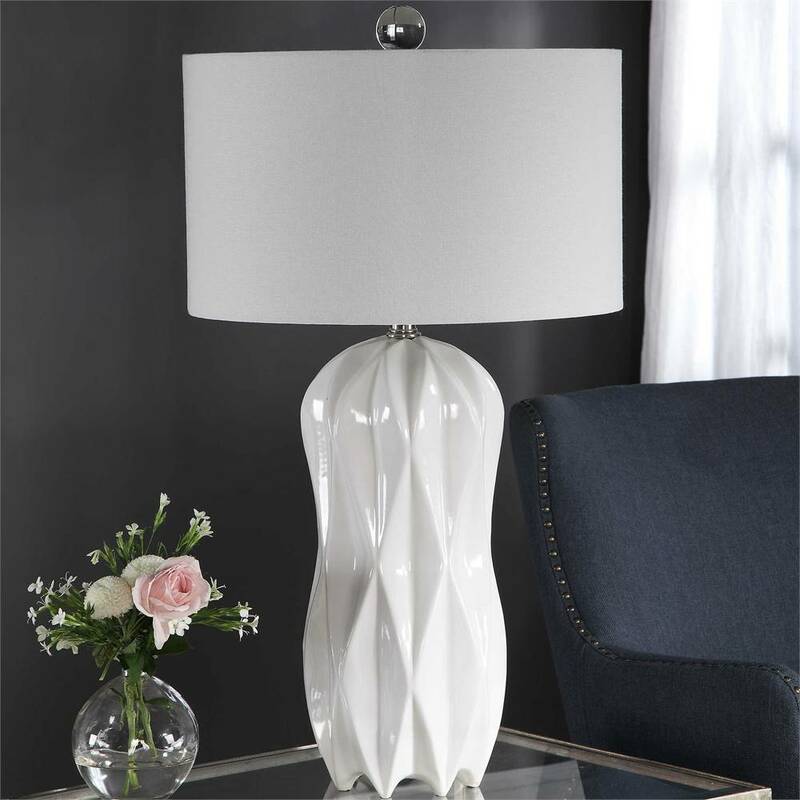 150W, 3-Way. 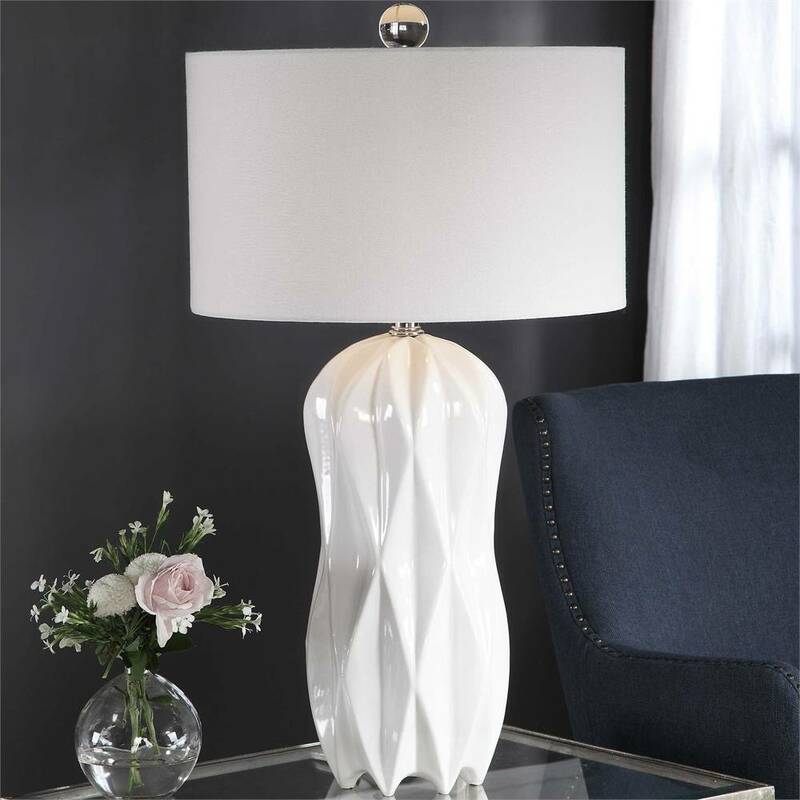 ***GORGEOUS Lamps! *** Worth Every Dime!